USTA is making a push across the nation to increase the number of PE Programs, Kids’ Tennis Clubs, and School Tennis Workshops. The goal is to get tennis thriving in these early intro-type offerings in the United States. To meet this goal here in the Southwest, the USTA has helped us put together various incentives to match the level of commitment a school , club or program is willing to give to tennis. The incentives are resources ($$$, equipment, etc.) to help steer these programs towards success and action. 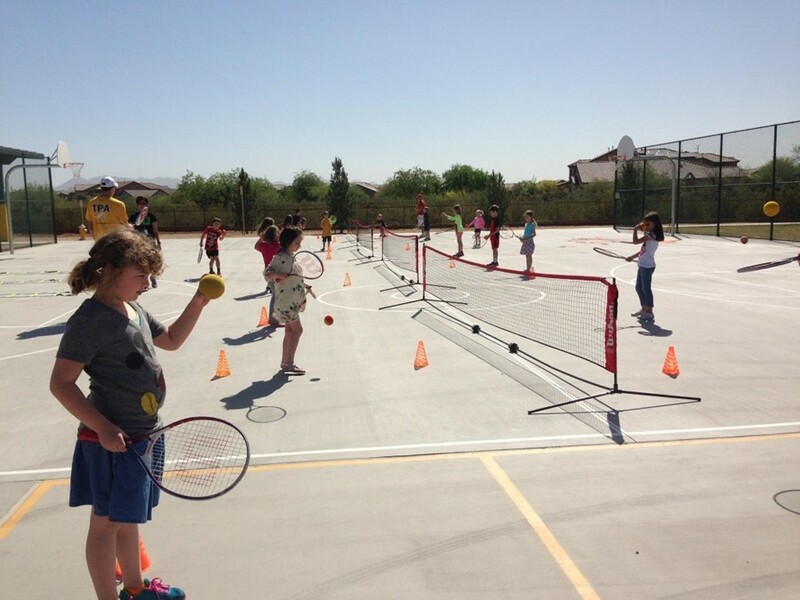 This year (2015) USTA Southwest is focusing on Kids’ Tennis Clubs. 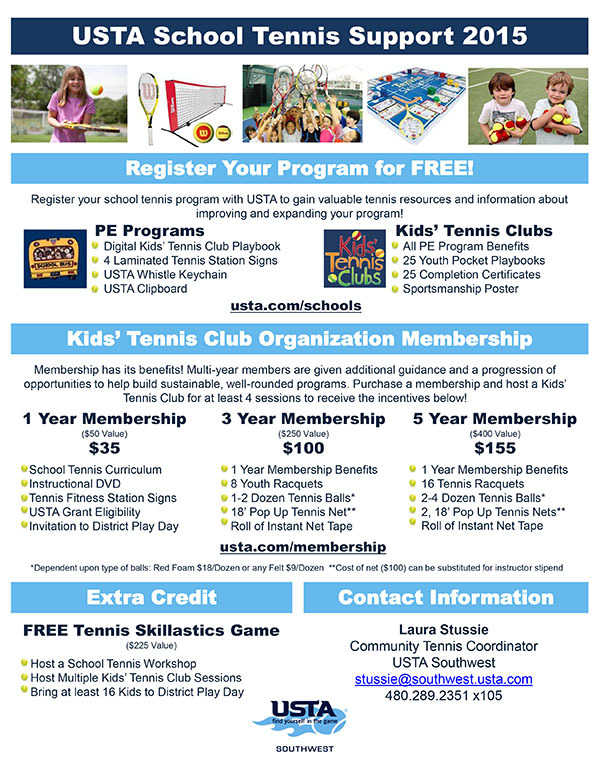 Purchase an extended year USTA Membership for your school/organization and host a Kids’ Tennis Club to receive the highest level of benefits! Continue to support tennis by spreading the word to a school near you! For more information on this package,or ,how to get your school to get in line to receive one of these packages, contact Laura Stussie at stussie@southwest.usta.com or 480.289.2351 x. 105. Click the link here for the full School Tennis Support Program flyer.